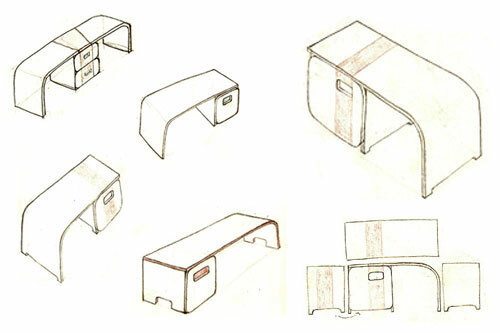 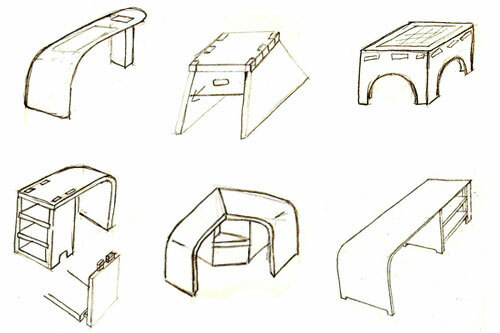 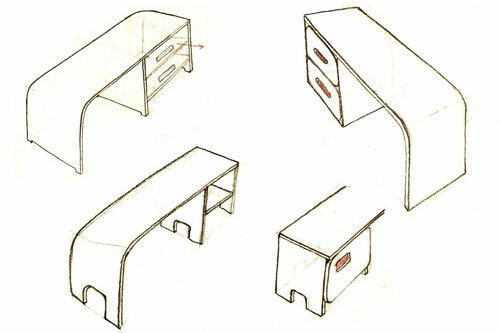 My objective was to design a multifunctional piece of furniture for both boys and girls. 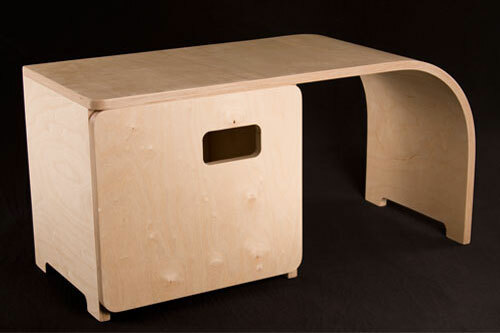 It serves as a bench, table and storage unit. 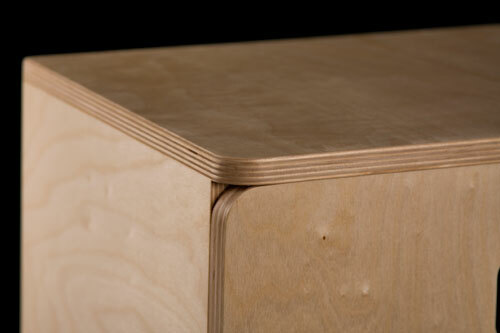 Birch Ply was used for the construction of the piece. 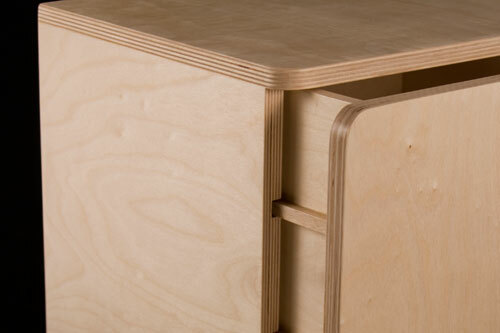 All parts are held together using biscuit joints. 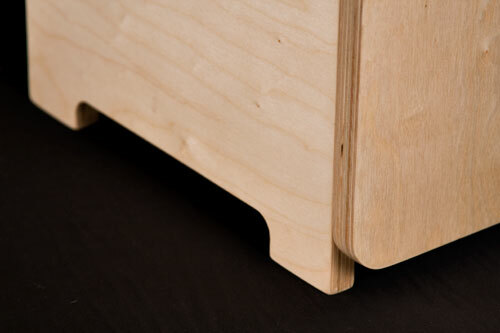 The top surface is a bent lamination.